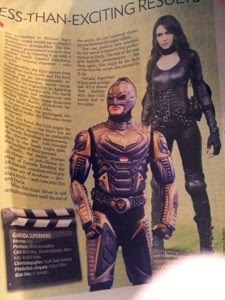 I just read on The Jakarta Post today about Garuda Superhero movie. “Falls flat in every aspect, with sophomoric special effects, bad acting and blatant plagiarims all over the place. The costume design for Garuda draws directly from Batman in The Dark Knight Rises. Garuda also uses iron wings for gliding, remember from silverhawks. Other characters are also mostly inspired from Holkywood superhero movies. The ending of the opening scene practically reuses the final scene of Rise of The Planet of The Apes. The one positive note sounded by the movie is Slamet Raharjo fine performance. Garuda Superhero is lazy an unoriginal. It’s a shame that Indonesia’s first CGI movie had to be a joke.